India has again invited Pakistan for dialogues and some people like Shah Mehmood Qureshi Foreign minister are declaring it a great success. But India P.m Manmohan Singh has also cleared that basic agenda of Dialogues will be Pakistani terror not Kashmir or Water issue. Some People in Pakistan thinks that Kashmir issue can be solved by dialogues. they thinks the country which has never accepted Pakistan from heart, which is stopping Pakistan's water by making dams and funding terrorism in Pakistan can solve Kashmir issue with dialogues. The country which has killed 93700 Kashmiri people in last 20 years can give Kashmiri's their rights by dialogues. it will be even wrong to think that Kashmiri's can get their right of freedom by dialogue from a country Like India. 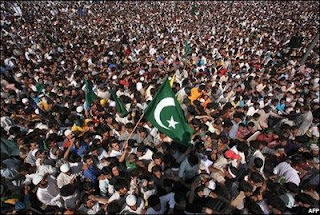 Kashmir has only one solution that is Sword. Jihad Kashmir was started in 1990 till 2001 and was going towards success that after 9/11 Pervez Musharraf changed the Kashmir policy. After which Jihad Kashmir started reducing and it really damaged the Kashmir movement. but now there are clears signs of American exit from Afghanistan after which Pakistani's Kashmir policy will change again. Jamat Ud dawa Chief Hafiz Saeed is also saying the same that regional situation is changing very fast and difficulties are near to end. our today's Politicians says that Kashmir problem can be solved with dialogues but watch the life of Quaid Azam. 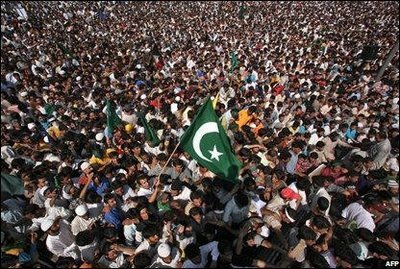 Quaid Azam continued the Jihad Kashmir until the last day of his life because he knew well that it is the only solution of this problem.